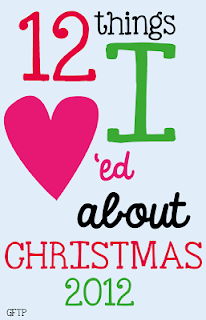 I have done 12 Things I Love About Christmas FULL STOP! Christmas is the time where we all get together. Christmas Day is everyone together at Grandma’s, including cousins and Aunties and Uncles! 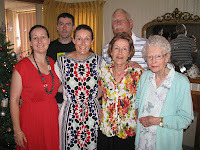 Doesn't my Grandma look great for 89! 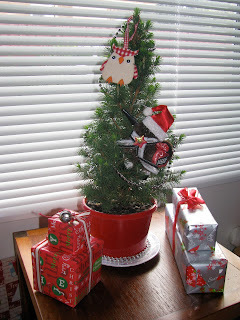 Don’t you just love Christmas decorations – I do! 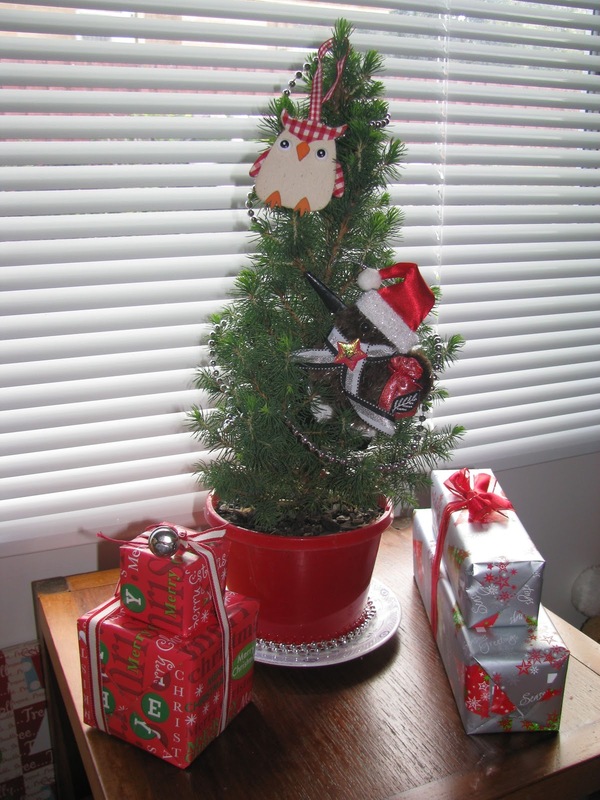 My boyfriend and I bought a little Christmas Tree and we letting it grow in the pot. Last year we picked a Christmas decoration together, this year we did the same thing (only we bought this year’s in September when we visited New Zealand!). We are making it a yearly tradition! As much as I don’t like saying good-bye to my group of kiddoes, the end of the school year is a relief in lots of ways. After Christmas I get to wind down completely, knowing that there is very little I can do! I know this sounds crazy since it is Summer in Australia, but I love visiting the US at Christmas and having a white-ish Christmas! I love seeing Nativity scenes around the town and in Churches. The story is so magical! I LOVE giving presents. I love organising, wrapping, decorating and then making the cards. What colour scheme will I go for next year I wonder……? I LOVE pie! 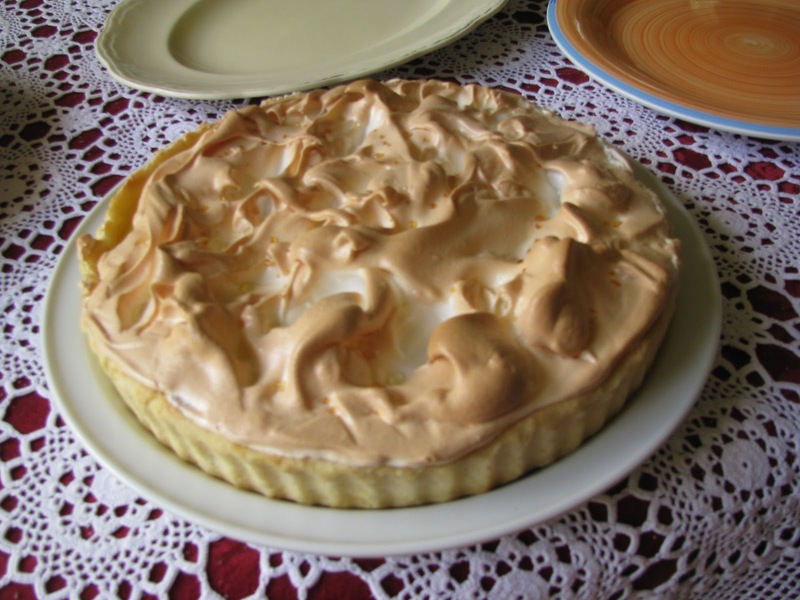 Every Christmas my Mum makes Pecan Pie and my brother makes Lemon Meringue Pie – add Grandma’s pudding to that and I think it is safe to say I would rather eat dessert than Christmas dinner! This pie, unfortunately, ended up on the floor this year.... but it looked great beforehand, and the lemon tasted great, Grandma now has meringue scented carpet! I used to love when we cooked up a turkey for Thanksgiving (life is too busy for another get together at that time of the year) and we would get to have Turkey twice in one year. Leftover Turkey sandwiches at school for the next week were our favourites! Christmas lights can brighten anyone’s mood. They have just so bright, colourful and inviting. After Christmas Day I get to play with all my new presents – I love new things, even if I don’t need them! Following Christmas I then have the anticipation of my birthday (less than a week away now!) and more presents! Don't forget to keep checking back in the next few days to find out about my 30th Birthday Celebration on my blog!